I'll talk today about a few minor moves and add a point or two as well on a slow day. The Browns released long snapper Ryan Pontibriand and signed Christian Yount,a UCLA rookie that played for Tampa in seven games when the Buccaneers were having injury issues. Pontibriand was chosen in controversy by former head coach Butch Davis in the fifth round of the 2003 draft. Not that Pontibriand proved unworthy,but then as now-the fifth round was a bit high for a pick of a long snapper. The Rice graduate had been to the Pro Bowl twice,but had been suffering from a "slump" as he called this season. I understand that Pontibriand's issues had been key elements in the losses to the Rams and Bengals,but there were variables to both missed kicks other than a poor snap,so this might be a bit early to give up on a quality player in a lost season. Pontibriand's departure eliminates the last trace of the Butch Davis regime from the roster as he was the final player drafted by Davis still on the Browns. The Browns also lost two starters on defense for the season as defensive end Emmanuel Stephens and linebacker Scott Fujita were placed on the injured reserve with pectoral and hand injuries respectively. Fujita will miss time for the second season in a row and will be replaced by third year man Kaluka Maiava. Stephens had only recently been elevated to the starting lineup and will be replaced by former starter Jayme Mitchell. The Pirates have signed former Hagerstown Suns first baseman Nick Evans from the New York Mets as a minor league free agent. 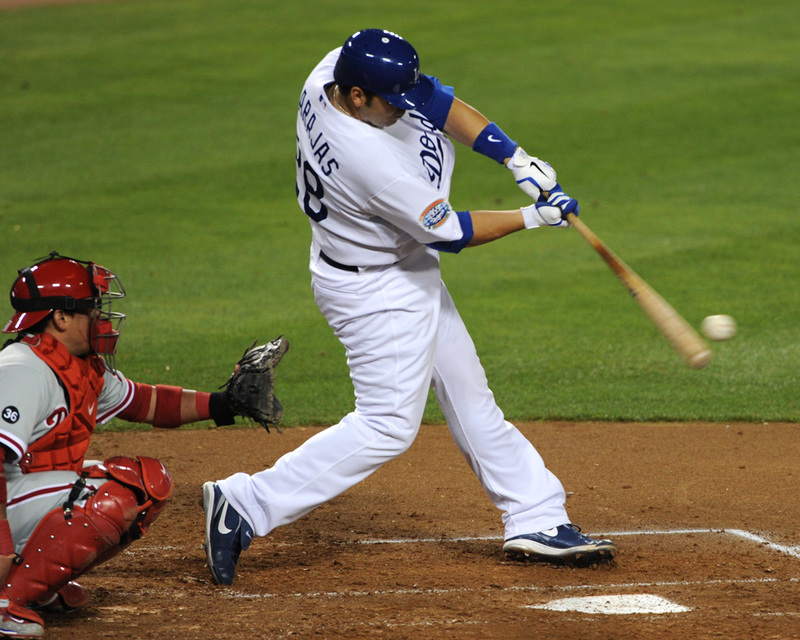 Evans split last season with the Mets and AAA Buffalo,hitting .256 with four homers with the Gothamites. The Devils activated Eric Boulton from the injured reserve and sent winger Brad Mills to Albany to make space on the roster. Boulton had been out of the lineup since injuring his hand in a one punch knockout of Douglas Murray earlier in the season. 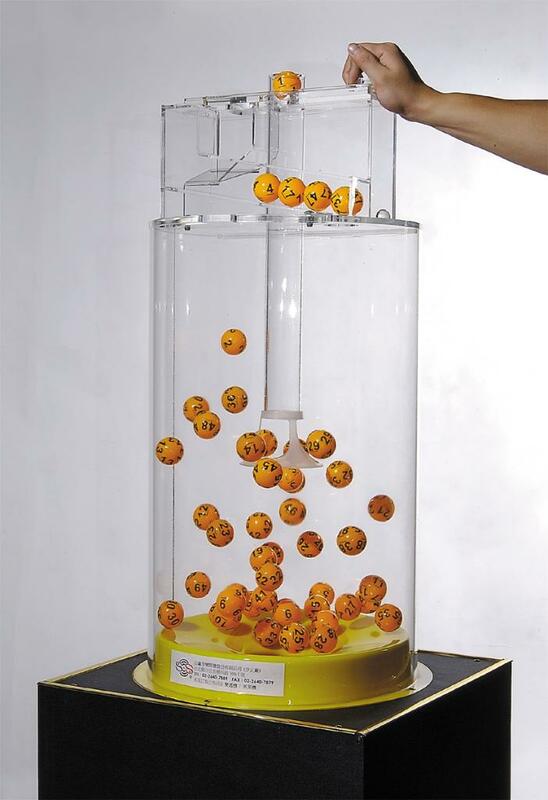 Mike Leach has agreed to take the usual bottom dwellers of the Pac 12 on as his next challenge. Leach will be the new head coach at Washington State in a great hire for Washington State and a terrific chance for Leach to rehabilitate his image. In an attempt to lighten the piles of cards on my desk,here is a quick list of the non-baseball stuff that I have gotten in the mail recently. Actress Jaclyn Smith:Awesome cards from my childhood! Adam Larsson-On his Swedish league card! Before we begin,I need to offer a few caveats. There will be no Seahawks coverage this week for the reason that I am about to write. If the Browns post is not 100% accurate on a player involved in a play,this reason is why. I was unable to watch the games on TV due to a few day long satellite issue that is scheduled to be solved today. With that in mind,I had to watch the games online,which left much to be desired,but did give me something in instead of the nothing that I would have had. Andy Dalton found A.J. Green against Joe Haden late in a tie game for a huge gain and when Green was finally tackled deep in Cleveland territory,Cincinnati had all they needed for a game winning field goal in a 23-20 Bengals win over the Browns. Colt McCoy tossed two TD's and one pick in the loss to pace the Cleveland offense in the defeat. 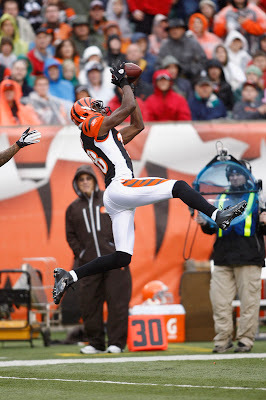 1) Greg Little caught his first career touchdown pass,but dropped four passes on the day. Some of this is that Little has just one year of experience as a receiver entering the year,but it could also be part of being covered by the opponents top cover man. 2) Colt McCoy was solid enough,although his interception was a bad throw on his part. For the first three quarters,I thought McCoy was having his best game of the season. 3) Peyton Hillis returned to the lineup as he rushed for 65 yards. Hillis was quite effective running between the tackles,but not so much taking pitches or running off tackle. 4) Colt McCoy's first quarter TD toss to Jordan Norwood was the first touchdown that the Browns have scored in the opening period all season. 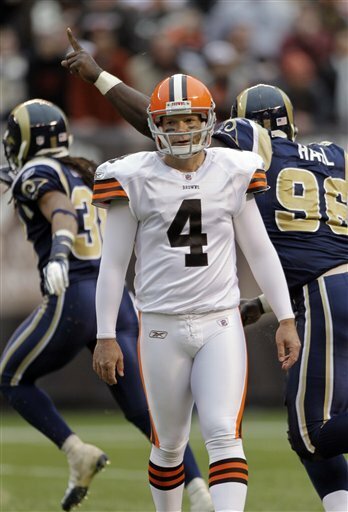 Previously,the Browns had scored just three Phil Dawson field goals. 5) Play of the game other than the A.J. Green catch was another botched field goal attempt. The Browns decided to roll the dice on Phil Dawson from 55 into the wind with just under two minutes to go. Not sure I would have made that one,but close enough to really consider. Ryan Pontibriand then makes a bad snap,Brad Maynard barely gets the ball down and as a result,Dawson has little chance to make the kick. 6) Scott Fujita broke his hand in the game,but has yet to be placed on IR and may attempt to play out the season with a cast. 7) Last week,Phil Taylor had a great game,this week it was Jabaal Sheard,who had a sack and a forced fumble. 8) I am somewhat disappointed in the return game from Josh Cribbs. Cribbs just has not had the season that I had hoped for and it seems that the burst that used to get by defenders around the 30 yard line to break into open field has not been there. 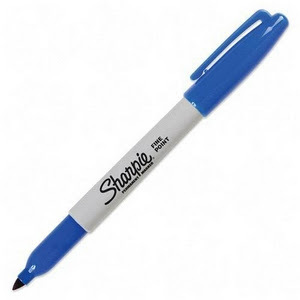 9) Anyone else wonder where Evan Moore has been in the game plan? Moore's three yard catch yesterday was his first in three games and Moore has disappeared from the offense. 10) Finally,this was a winnable game and I thought the Browns played their hearts out,but this showed the difference in talent that the Browns give away most of the time. Cleveland's talent pales in comparison to the Bengals,let alone upcoming Baltimore and Pittsburgh. I see improvement,but more talent is needed through the draft AND free agency,which is a process that the management team thus far has shown an aversion to. With just five seconds to go and a faceoff upcoming,it looked like the New Jersey Devils needed a miracle to tie the New York Islanders,but for a few minutes,it looked like the Devils had pulled their miracle out of the sky when Zach Parise's net rush slid the puck beneath Al Montoya for the game tying goal. However,the video replay bunch in Toronto overruled the call on the ice with the ruling that Parise had kicked the puck in,disallowing the goal and handing the Devils a 3-2 defeat. The Devils received goals from Adam Henrique (5) and Adam Larsson (2) in the loss. The Devils are off until Wednesday,when they travel to Colorado. Likely light coverage on that one with a 9:30 start and being a work night for me. 1) Clearly,a bad call on the Parise play. The puck did hit Parise's skates to elude Montoya,but I failed to see the "Discernible kicking motion" that is needed to overrule a call on the ice. This one hurts because it cost the Devils at least one point and possibly two in the standings..
2) Ilya Kovalchuk had assists on both Devils goals,but his sloppy play continues as he was responsible for handing the puck to Michael Grabner to cruise in for the game winning shorthanded goal. 3) Kovalchuk also earned a misconduct penalty for complaining about an uncalled high stick on John Tavares. The timing was bad as with under six minutes to go,the Devils had to kill a penalty instead of trying to tie the game. 4) That play was the second time in the home and homes that John Tavares had been a bit dirty and had the play not been called a penalty. Friday,Tavares slashed Zach Parise,which was not ruled a penalty,but earned him a 2.500 dollar fine. 5) The Grabner goal was the fifth shorthanded goal allowed by the Devils this season. The PP has almost been a disadvantage between not scoring and allowing goals. 6) Another great game by Martin Brodeur,who made a save on Grabner earlier in the game and on the Kyle Okposo rebound that saw Marty cartwheel and then catch the puck while down on his side. That will surely go into the career retro highlight package for sure! 7) As bad as the power play has been,that is how good the penalty killers have been. Ohio State gave heavily favored michigan all they wanted and took the game down to the final minute before finally succumbing to the Wolverines for the first time since 2003 40-34. Braxton Miller accounted for over 300 yards of total offense with his arm and feet and contributed three touchdowns to the Buckeye cause. Ohio State finished the regular season at 6-6 and will likely be offered a lower bowl invitation,if the school chooses to accept it..
1) Braxton Miller was the Buckeye star,but his two overthrows of Ohio State receivers will be throws that fans and Miller will be thinking about all off-season. The pass that was too far for a clearly broken away DeVier Posey on the first play of the final drive was a heartbreaker. 2) Jim Bollman opened up the offense a bit,but I wondered where this was earlier in the season,when games that this could have made a huge difference in used the caveman game plan. I will not miss Bollman at all when the new staff arrives..
3) Ohio State had trouble containing Denard Robinson's speed and I know that the defense had injuries and were beaten up,but one thing that I would have tried as a defensive coordinator was to put 8 men in the box,assign the ninth man to hover over the middle as a Robinson spy/cover the tight end in the area and hope the other two DB's can cover their man. 4) Ryan Shazier has played very well over the last few weeks and was doing the same again until a leg injury reduced him to playing on one leg with a brace. 6) Two things that made a difference? michigan's stand deep in their territory after handing the Buckeyes great field position on a botched snap to the punter late in the third quarter. 8) That said,does anyone really believe that michigan did not commit a penalty until seven minutes to go in the game? 9) It didn't take long for Brady Hoke to get on my nerves with this "I'm not calling them Ohio State stuff". 10) Thanks to Luke Fickell. All the issues except for the final NCAA rulings are finished and I am glad for that. It was a frustrating series of months,but the sun will start shining soon. A few words on The Game. Ohio State has not lost in years to the team up north,but I fear that run ends today with a ranked Wolverine team attempting to qualify for a BCS appearance with a win and Ohio State likely to end the Luke Fickell era shortly to welcome a new coach. I suppose the soap opera like issues around the program for the last year has dampened my spirits for today far more than usual,but I am sure I'll be into the game as much as ever when it kicks off. michigan has to be the favorite and likely winner,but OSU has a chance,especially if an inspired bunch of Buckeyes decide to send Fickell off the right way. The key to this one? Keep it close and hope the mind games start setting in for a michigan bunch that has zero members that have ever beaten the Buckeyes. Ohio State has to run the ball and keep the score close as they are not equipped to have to throw the ball in order to get back into games with double digit deficits. Even as painful as a loss to them will be,I look at it as a slight aberration. 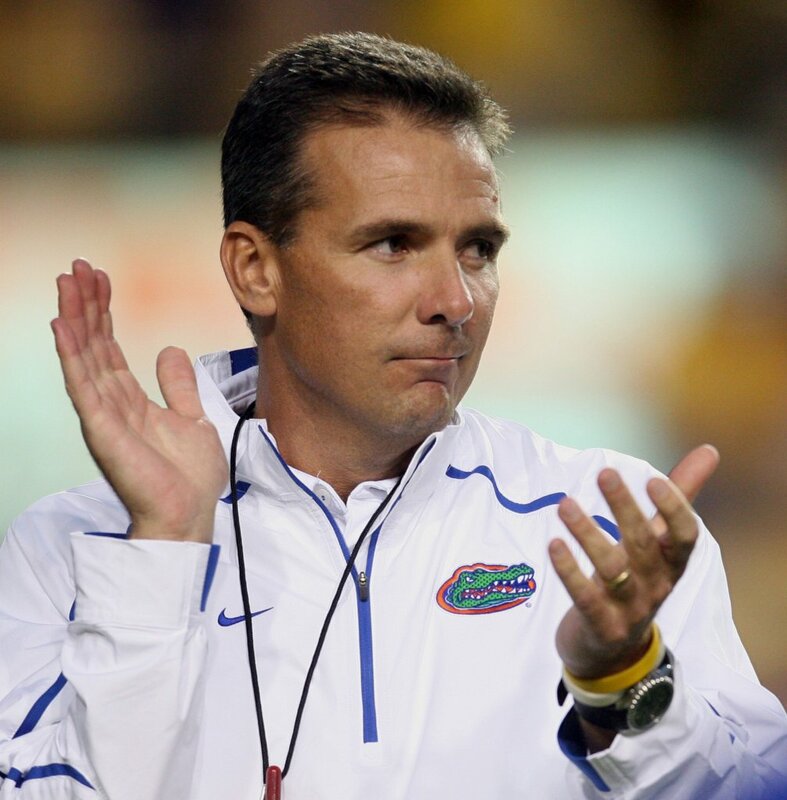 After all,for next year Ohio State will likely have Urban Meyer,they will have Brady Hoke. Where is Nick Bakay for the advantages on that one? Sometime the breaks bounce your way and for the New Jersey Devils they did just that as a shattered stick on Adam Larsson's shot attempt on a power play saw the puck go straight to a waiting Petr Sykora for the games only goal (5) in a 1-0 win over the Islanders on Long Island. Johan Hedberg had 23 saves including a penalty shot stop on Michael Grabner in the third period to lead the Devils to a shutout. 1) Give the credit to this all to Johan Hedberg. 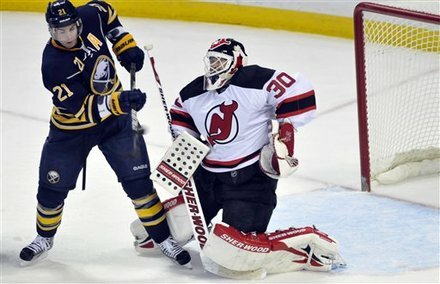 Hedberg was fantastic with save after save that bailed the Devils out during the game. 2) The Devils have been getting solid netminding from both Hedberg and Martin Brodeur recently. Even though Brodeur has been strong as he gets into form,I would not be against Hedberg seeing more time than the usual PT that Brodeur's backups have seen in the past. It might be the best thing considering the age of both players. 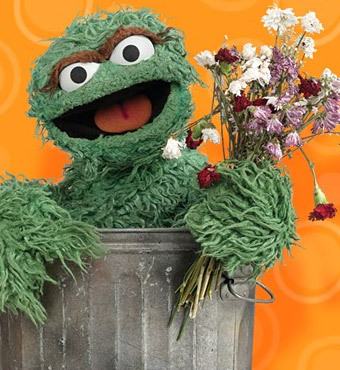 3) Adam Larsson made two huge mistakes that Hedberg bailed him out of and he was benched as a result. The intercepted pass by Michael Grabner that led to the penalty shot was off a Larsson pass and earlier in the game Grabner did the same thing. I realize it is part of the learning process,but still frustrating to watch. 4) Speaking of frustrating to watch-the Nassau Coliseum just is a tough place to watch a game from on television.The lighting was so poor that on the Islanders new jerseys (Did not care for them),I could hardly read the player names on the back. 5) Adam Henrique played well,but the rest of his line did little to impress. 6) I feel for Al Montoya of the Islanders. Every time that I have seen him play,he plays well in a close loss. 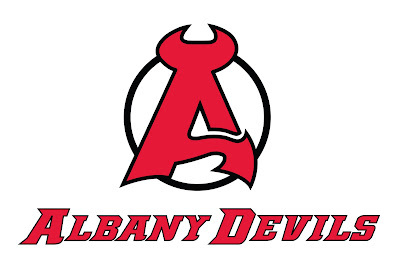 7) Nick Palmeiri was sent to Albany and Tim Sestito called up from the A-Devils. Quickly to start with,the Devils earned two points for their 2-1 shootout win Wednesday night over Columbus. I was going to attempt to watch it when I arrived home from the Verizon Center,but in the classic good news bad news note-the Verizon Center's out of town scoreboard is constantly updated and visible,so I could not avoid it. Zach Parise and Ilya Kovalchuk each scored in the shootout to lead the win,while Dainius Zubrus scored the only regulation goal (7) for New Jersey. I'll be discussing the game with the wonderful Rachel and if she has anything interesting to add,I'll do an update,if needed. For more on the win-check out In Lou We Trust's coverage. Another trip to the Verizon Center,thanks to my friend Fern,who graciously allowed me to take in a game this season for the second time. Last year,I was able to see the Devils in Washington,but that was not in the cards,However eleven months to the day of my last trip- I was able to see the new Winnipeg Jets in their first return to Washington and I was all over that. I have not been able to see my new team in the Western Conference play much this season,but I was still anxious to see them play. This was a better trip than last seasons-the Metro was not as crowded,the Capital fans were better behaved than in my first trip (perhaps that is because I had no Jets items on,not by a lacking of effort though) and the weather was decent enough,albeit windy enough that I received a mild windburn. Again,I did not eat,although I was tempted,but the food cutback with Thanksgiving on the horizon was mandatory for me and I still remember those awful cleanliness ratings for Verizon Center food. I likely would have made an exception had Ben's Chili Bowl had a branch there like they do at Nationals Park. Onto the game,where the Jets surprisingly hung in there against the high powered Capitals and earned a point despite losing in overtime 4-3. The Jets scored two goals in the first period by Andrew Ladd (7) and Kyle Wellwood (7),both playing on the same line and Bryan Little tied the game in the third period with his fifth of the season. I think I am going to like rooting for this team,there is some talent there,although the depth is lacking. All three of the goal scorers are well under 30,yet have a fair amount of NHL experience and that did not even mention the best of all of them in Evander Kane,who is entering his third season and is barely 20! Dustin Bfuglien ranks among the best offensive defensemen in the game,the injured Tobias Enstrom is an assist machine in the making and 20 year old Zach Bogosian looks to be a long term cornerstone on the blueline. Ondrej Pavelec has been decent in goal,but at minimum will need some help in the nets. That is most of the talent,so there will be a building process that will need to take place. In short terms-I think I am really going to like rooting for this team. Thanks again to Fern for allowing the evening to take place and thanks to Ryan for babysitting me. I am not wild about large cities and he takes care of me as far as Washington goes,as he knows his way around far more than I. Another great evening around the game and a night that cemented a new team as my rooting interest in the Western Conference! 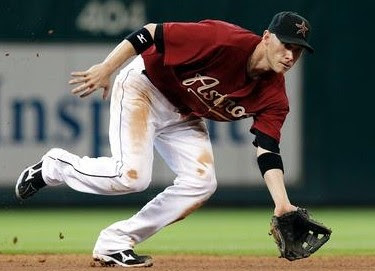 The Pittsburgh Pirates signed former Rockie and Astro Clint Barmes to a two year deal and 10.5 million dollars to be the replacement for the erratic Ronny Cedeno at shortstop next season. Clint Barmes is a player that I have always liked and he will bring two things to the table that Ronny Cedeno will not-a solid and consistent glove and the occasional power that Cedeno does not. However,two years guaranteed is a small concern and the fact that he is a pull hitter to left in a park that devours righthanded pull hitters. Pat Lackey found this chart that proves my point-Barmes hit all of his homers to left/left center last season,which is the deepest part of PNC Park, and his homers did not travel very far. The problem there? Looks like a lot of fly ball to left field for Mr.Barmes. The other issue to the two year deal compared to a one year deal is that the Pirates could suddenly have a logjam at shortstop with Chase D'Arnaud and Jordy Mercer blocked by a 33/34 (Barmes turns 33 in March) year old player that might not be that terrific,but is being paid well. We all know the Pirates policy on these guys that are being paid-they get about three times the opportunity of the average player to turn things around and Barmes is clearly a Clint Hurdle favorite,which will likely buy him even more time through his struggles. Barmes is reported to be a great clubhouse guy and that should be helpful,but I am unsure on 2 years 10.5 million helpful! All and all,I think Barmes will prove to be a small improvement over Cedeno just by being consistent with the glove,but the Pirates paid more than I would have for sure. So thus far,the Pirates have essentially traded Ryan Doumit and Ronny Cedeno for Rod Barajas and Clint Barmes. The Pirates signed a few minor league free agents with the most notable name being former Nationals pitcher Shairon Martis. Martis had two cups of coffee with the Nationals and seems like he should be around 30,but he only turns 25 in March. Nice year for Martis in Harrisburg last season,although he should have after spending 2009 and 2010 mostly in AAA ball. I do not think Martis is a slam dunk,but has a chance to see Pittsburgh sometime in 2012. Finally,A Devils win in Hershey! I made my fifth ever trip to the Giant Center to see the Albany Devils last Saturday against the Hershey Bears. I was 0-4 going to see the team,which had changed from the Albany River Rats to the Lowell Devils and settling in as the now Albany Devils. I had a higher hope for a Devils win this time as the Bears seemed to be hit with the injury bug and the teams were similar in their season points thus far. I was not too excited though as the Giant Center is a tough arena to win in and Hershey,as usual,had a team loaded with veteran players that are far past the prospect stage,but are extremely effective at the American Hockey League level. The game started and Hershey quickly raced to a 2-0 lead and I was thinking "Here we go again",another drive up for a blowout loss. This night would be different though as the Devils battled back to tie the game at 2 going into the locker room with goals from Nathan Perkovich (3) and Darcy Zajac (3),the brother of Devils center Travis. A early second period goal from defenseman Eric Gelinas (3) on the power play gave Albany a lead,although Hershey would tie the game at three at the second intermission. The teams would swap goals in the third with the A-Devils scoring goals by former NHLer Steve Bernier (3) and Tim Sestito (2) and the overtime was scoreless. That meant my first ever live shootout! Now,I find the shootout very entertaining and fun to watch,but I am not a fan of it deciding games. Hershey scored with their shooter Jacob McFliker and Chad Wiseman missed for the Devils,which made me think of another Devils defeat. I was too pessimistic as Albany goalie Keith Kincaid stopped the next three Bears and Albany used goals from Mike Sislo,Matt Anderson and Steve Bernier to win the game and send me into a frenzy. I was sorely tempted to loudly do the stupid "B E A R S" chant that the Hershey fans do with each goal,but I kept to myself. Well,I did allow myself a small,shortened,quieter version through the concourse,but not too bad.. It was not the best game as far as strong play goes,as the defense for both teams was less than wonderful and Keith Kincaid switched from making a dazzling save to being beaten from the left faceoff circle location twice and near there a third,but an exciting game it was. Kincaid finished the night with 28 saves and showed promise at times,although he clearly needs another year in the AHL. The Devils are not loaded with prospects at forward other than maybe Mike Sislo (Mike Hoeffel was not in Hershey),but they have three solid prospects on the blueline in Alexander Urbom,Eric Gelinas and Brandon Burlon. Urbom seemed to shy away from contact a bit and that might need to be addressed,but the skills are there to be sure. Burlon looks to be an all around defenseman,but the star of the night to me,scouting wise was Eric Gelinas,who has a huge upside as an offensive blueliner. Excellent shot and size,Gelinas still needs time to ripen on the vine a bit,but I was impressed on this night. Matt Taormina showed me that he is an NHL player in the AHL with his puck moving skills. Just a matter of time before Taormina gets another chance after injury robbed him of last season in New Jersey after playing well up to that date. As far as autographing goes,many of the Devils do not have cards as Albany does not make a team set (Boo! ),but I was able to get all the stuff that I had for the players that were there (Jay Leach and Stephen Gionta did not make the trip). Assistant coach Tommy Albelin was a member of a Cup winning Devils team and was a great addition as the rest consisting of former Vancouver Canuck Steve Bernier on a jersey card,Alexander Urbom,Matt Taormina,Eric Gelinas,Vladimir Zharkov and Jeff Frazee. Thanks to my friend Mark Bailey for showing me the ropes graphing hockey and his tremendous help with the parent Devils (More on that in a future signing front) and the "Superfan" for his help and trading me some more cards for the collection. I had a great time with them and hope to do it again next season. It was all downhill from there as New Jersey could not sustain their quality of play and lost the lead to the Florida Panthers in a shocking 4-3 defeat. The three first period goals were scored by Dainius Zubrus (6),Ilya Kovalchuk (4) and Petr Sykora (4). The Devils take today off before hosting Columbus at the Rock on Wednesday. 1) Simply Put-the Devils let off the gas. New Jersey dominated every aspect of the game in the opening stanza from goals to goaltending to even killing off a five on three advantage for Florida. Stan Fischler always says (and I usually scoff) that the three goal lead is the worst in hockey. 2) No blame on Martin Brodeur,who continues to round into form.with 32 saves and none of the goals allowed being awful ones. In fact,with any help at all,two of them should not have gone in. Mark Fayne was in awful position on one goal and the puck bounced off his leg and into the net,while a broken stick of Andy Greene's left him and Brodeur as a result helpless against the game winner. 3) Anton Volchenkov left the game with a face laceration that would need 10-12 stitches to close in the first period from a hit by Shawn Matthias. The Devils were incensed by the play,which is being reviewed by the league,yet drew no penalty. 4) Rod Pelley took exception to the hit and fought Matthias in the second period. 5) It might not have gotten to the point that it did with a bounce of the puck. Adam Henrique's backhander from point blank range clanked off the pipe early in the third period and that was the only serious threat in the final period. 6) I would have taken a 3-2 road trip beforehand considering the travel and tough places to play for various reasons,so that is not disappointing. The Browns tried to give the Jacksonville Jaguars a victory,allowing them to drive to the two yard line with seconds remaining,but Jacksonville receiver Jason Hill dropped what would have been the game winning TD on the next to last play of the game and Blaine Gabbart failed to see a wide open Maurice Jones-Drew,who would have walked into the end zone on the final play enabling the Browns to hold onto a 14-10 win. Colt McCoy threw for 199 yards with one touchdown and interception,while Chris Ogbonnaya rushed for the other Cleveland score and finished with 115 yards on the day. 1) The numbers were not great,but Colt McCoy continues to impress me with his toughness. McCoy injured his shoulder and neck on the tackling of Dawan Landry on McCoy's only interception of the game,but the Longhorn did not miss a play. 2) The 85 yard drive that proved to be the winning score was the best Browns drive of the season in my opinion. 3) I thought the Phil Dawson missed field goal in the fourth quarter could have gone either way,but I lean towards it being good. What I found laughable was the fact that replay could not review it. Replay is supposed to fix things,but rarely does,therefore why even bother? I will say this-I have been watching Phil Dawson since 1999 and I have NEVER seen him that angry! 4) Super game by Chris Ogbonnaya,who left the game after his longest run of the game and looked to be grabbing a hamstring that forced him to pull up out of bounds. However,he was soon back in the game and running hard with his second 90+ yard game in a row. I still think that Ogbonnaya is running up these numbers with huge carry days and against bad teams,but I'll take performance anytime over opinion. The Bengals defense will be a huge test for Ogbonnaya next week,although Montario Hardesty is a possibility to return to the field for that game. 5) The longest play of the game was a 51 yard catch and run from McCoy to Jordan Norwood,who then disappeared from the game. Norwood has looked decent in limited action and I wish he would see the field a bit more in the coming weeks. 7) If I was a Jaguar fan,I would be disenchanted with Jack Del Rio. The poor clock management put the cats in the spot of feeling that they could not chance a run play late in the game. That goes almost all on the coach and Del Rio will likely be looking for a job at the end of the season. 8) I thought Maurice Jones-Drew's celebration mocking the loss of LeBron James was very classless. 9) I know Jacksonville spent a first round pick (and traded up to do so) on Blaine Gabbert,but I did not see much to be impressed with. 10) This was almost a must win for the Browns,who look to be underdogs in every game from here on out. The Browns wins have come over winless Indianapolis,.three win Miami and Jacksonville and four win Seattle. Only 3-7 Arizona has a losing record of the remaining six games and that game will be in the desert. No coverage of the Devils win in Tampa or the Ohio State loss to Penn State. I did not get to see very much of the Ohio State game and what I did see was in a sports bar with Penn State fans,so I was unable to watch it as closely as usual. I will have Browns coverage later today and maybe Seahawks coverage of their win over the Rams. Look for a post over the next day or two for my annual trip to Hershey for the AHL Devils visit to Chocolate Town and finally a Devils WIN there!!!! The NHL is opening their own production company as NHL Original Productions and will be working with former HBO Sports head Ross Greenburg's company on documentaries. Think of it as the NHL's version of NFL Films,which is a great idea. Hopefully,this will improve their season ending products,which in the past have been marred by questionable narration decisions such as Whoopie Goldberg(?) narrating the Devils last Cup DVD. The first to hit the airwaves will be on January 2nd with a look at the 1972 Canada vs Russia Summit Series. I have been critical of Greenburg's decisions with the HBO boxing programs,but the starting of the sports of the 20th century series was pure genius and all of them have been excellent,so this should be a success for all involved..
Good for the Big Ten to act so swiftly in removing Joe Paterno's name off the title trophy. Putting the scandal aside,I did not favor this to begin with as Paterno did not make his name or his programs for that matter in the conference. There were better choices for a Big Ten trophy than Paterno and having Amos Alonzo Stagg's name alone on the trophy was fine with me to start with. I love fish and in my never ending war against inflating like a Thanksgiving Day parade float (I think if I wore all white,I might pass for the Snoopy Float this year),I am always looking for ways to cut things. Men's Health offers this list of the 12 fish that you should never eat for various reasons that range from species that are nearing extinction to pollution and to fish that just are not good for you. Freelance author Seth Kolloen has written a terrific article about Chris Lincecum the father of Giants ace Tim Lincecum entitled "The passion of Chris Lincecum". The article deals with the mechanics of the pitcher,what he throws and even some talk on the "small muscles" which have helped build the endurance of the Giants righthander. Keith Olbermann's blog offers a look at a long time favorite that just had a bad break and now the reason why is coming out. I was always a fan of Calvin Schiraldi going back to his days as a star at Texas. I have never been a Longhorn fan,but when I first began to see ESPN, I loved the Texas pitchers on their college baseball coverage-Roger Clemens,Mike Capel,Greg Swindell and Schiraldi. So I was a fan to start with and then people began to see his baseball cards and commented how much we looked alike. I showed a Schiraldi card to Rachel this weekend and she gasped in surprise on the resemblance in younger pictures of myself. In any event,there was a program on the 1986 post season on the MLB network,which Schiraldi appeared on and for the first time revealed an unknown fact. Manager John McNamara had told Calvin that he was done for the evening. Anyone that has pitched at any level knows the adrenalin drop that cannot be gotten back once the bench boss has told you that you are through for the game. The program sounds fascinating and even though I missed it,I am sure to catch it sooner or later. Urban Meyer to Ohio State? This has not been announced,just rumored,but the rumors are coming from sources that generally get these things correct,so although it has a chance of not being true,I think the claim is pretty likely. Urban Meyer to Ohio State. Meyer seems like the type of person that is not going to be happy sitting in the announcers booth and Ohio State has always been a job that he coveted. In Meyer's contract at Florida,he had a clause that stated that he could leave for Ohio State or Notre Dame without any financial penalty,so that tells me that Columbus was a destination that he wanted to at least consider if the opportunity arose. Urban Meyer is the type of name that Ohio State fans wanted. An established coach with a proven offensive background and Ohio roots to solidify in-state recruiting. Everything a Buckeye fan could want,right? Meyer's players at Florida had plenty of off the field issues that he will need to tighten up with the NCAA adding watching Columbus like a hawk to their list of must dos and his health problems are an issue as well. All his issues went away in one year? Maybe,but looking at the Gators,perhaps the health issue was sick of the team he recruited and saw things were going to get worse in Gainesville before they got better. Meyer also might want to consider keeping Luke Fickell around,if Fickell wants to stay and run the defense. Fickell has done an admirable job under difficult circumstances and deserves the chance to stay if he likes. Plus keeping Fickell will likely mean keeping Mike Vrabel,who would be a huge help in recruiting defensive linemen and linebackers.. The New Jersey jumped off to a first period filled with dominant play,including a short handed and power play goal and had an answer every time that the Buffalo Sabres attempted to tighten the game a bit in a 5-3 Devils win in Buffalo. New Jersey tallies to Patrik Elias (7),David Clarkson (6),Zach Parise (6 short handed),Mark Fayne (3) and Ilya Kovalchuk (3 power play). The Devils are off until Saturday when they are in Tampa for the first of two games in the Sunshine State..
1) Martin Brodeur continues to round into shape with an excellent outing last night. The Brodeur robbery of Jason Pominville was positively jaw dropping. 2) Zach Parise's man disadvantage goal to start the Devils scoring was terrific,but the real play was made by Adam Henrique,who fought off two Sabres with a third hovering around him to make the sharp pass to the open Parise to bury the puck home. That play set the tone for the evening and was the pivotal play of the game..
3) Ilya Kovalchuk fired a rocket past Jhonas Enroth on his power play goal. Boy,was that shot slammed at Enroth! Kovalchuk looked a little slower than usual,but that is to be expected after being off work. 4) Loved the Mark Fayne goal,which came off a faceoff win by Adam Henrique. 5) David Clarkson finished a breakaway for the final goal and sent Enroth from the game. Clarkson must have been working on his finishing in the off season as I cannot remember the amount of breakaways that he was denied on last season. 6) I did not think the Tyler Myers on Dainius Zubrus was too bad. 7) Vladimir Zharkov was returned to Albany after the game. Zharkov played in four games without a point. A back and forth third period ended with Boston's Benoit Pouliot scoring the game winner with just three minutes to go to give the Bruins a 4-3 win over the New Jersey Devils in Boston. Nick Palmieri scored twice in the third period (2 and 3) for the Devils,while David Clarkson scored the games first goal (5 Power Play) in the second for the remaining Devil goal. New Jersey travels to Buffalo tonight at 7:30. 1) Johan Hedberg had an up and down evening. 2) The learning process continues for Adam Larsson,who was seriously faked out on a breakaway off the face to start the third period.Brad Marchand faked to the wing and instead cut back to center ice where he was hit by a Zdeno Chara pass setting a one on one with Hedberg for the goal. These are the type of growing pains that defensemen go through,as painful as it can be to watch. 3) The Devils did break their power play drought on David Clarkson's second period goal. Clarkson had another nice night and looks to possibly breaking through as a player this season. 4) Nick Palmieri's two goals were the type of goal that I hope to see-driving to the net and cleaning up. I especially liked the first goal where he followed the play and was hit with a sharp pass from Adam Henrique. 5) Ilya Kovalchuk skated in pre-game but was scratched. 6) The Devils were close to receiving a penalty shot when a scrum at the net saw Patrice Bergeron of the Bruins cover the puck with his hand in the crease. Since only goaltender are allowed to so,it could have been a penalty shot,but it was ruled that Bergeron covered it inadvertently. Ravens left winless in Seattle in 22-17 upset win!!! Murderin' Ray Lewis and his Baltimore Ravens came into Seattle on top of the world after a big win over Pittsburgh,they left with a stunning loss to a now 3-6 Seahawks team. The 22-17 Seattle win came through hard running by Marshawn Lynch ,who rushed for 109 yards and Seattle's only touchdown,five Steven Hauschka field goals and a defensive/special teams effort that forced three Baltimore turnovers. Seattle,as noted above,improved to 3-6 on the season and will be in St.Louis next Sunday against the Rams before returning to the Pacific Northwest against Washington. 1) I picked Baltimore big like most did,but I swear and the lovely Cherie will back me up,that as the game started I turned to her and said "I would not be surprised that Seattle wins or comes close to winning". The Seahawks are good for one or two of these a year,getting a superior team to often make their longest trip of the season,in front of a crazy crowd,get a break or two and grab a win. 2) Play of the game-with the Seahawks attempting to run the clock out on third and five,Tavaris Jackson tosses a screen to Marshawn Lynch. 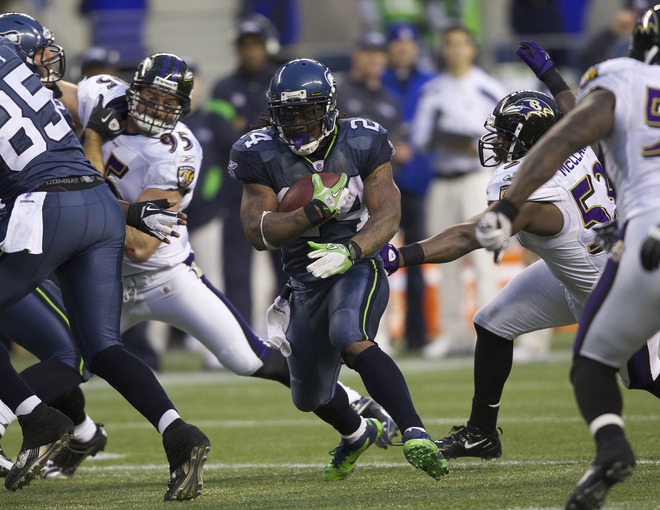 Lynch catches the ball and is one on one with Murderin' Ray Lewis,who does have clean up on the way,which happens more often than Lewis ever admits. The scene is set: Lynch vs Lewis for the game,Lynch fakes Lewis out of his shoes and earns the first down. 3) Give the special teams credit in this one as well. Two of the five field goals kicked by Steven Hauschka were set up by forced fumbles by the special teams on Baltimore returner David Reed. 4) Big losses in the passing game though as both Doug Baldwin and Sidney Rice left the game with concussions and are questionable for the Rams game. Baldwin caught one pass for fifty yards before his injury,while Rice caught two passes for just 14 yards. 5) Nice interception off a tipped Joe Flacco pass by David Hawthorne,who should have scored on the play. Joe Flacco grabbed Hawthorne by the collar and stopped him from reaching the end zone,costing both Seattle and my fantasy football team six points. Smart play by Flacco as despite the 15 yard penalty,the Ravens held Seattle to a Hauschka field goal and therefore saved four points on the scoreboard..
6) Big loss on an already shaky offensive line as rookie starting guard John Moffitt injured his knee and will miss the remainder of the year. Any losses on a line that was starting two rookies and a second year man is a huge one. Lemuel JeanPierre will replace Moffitt in the starting lineup. Not just too many,the type of stat that kills momentum and programs. Baltimore draws some of that with an intimidating defense and the attitude that tends to draw personal fouls out of a team,but still 13???? 8) Quiet player of the game? Michael Robinson,who blocked Ray Lewis very well in keeping him to four tackles on the day and as a result giving Marshawn Lynch room to run. Robinson also was involved in causing both David Reed fumbles on kickoffs. Hard to believe this hard hitting fullback was a college quarterback at Penn State. 9) Speaking of Lewis,ever notice how his tackle numbers are far more average on the road than in Baltimore? That is because any time Lewis is a yard away from a play or dives in after the play is over followed by a dance like he brought the runner down,the Ravens stat guys give him credit for at least an assisted tackle. 10) Note to Baltimore-I understand you want to win the big games and are sky high emotionally for these games,but the other games count too. Baltimore has now followed their three biggest wins of the season (2 over Pittsburgh and Houston ) with losses to Tennessee,Jacksonville and Seattle. The Cleveland Browns and head coach Pat Shurmur played not to lose in the Browns final drive and as happens all too often when that is your strategy-lose in what you do and lose is what the Browns did 13-12 to the St.Louis Rams in Cleveland. Phil Dawson kicked four field goals in the loss,but the most important attempt of all was shanked wide left after a poor snap by Ryan Pontbriand and the Rams held on for the win. Not much offense to note other than Dawson's four field goals,although Colt McCoy completed 20 of 27 passes for over 200 yards,six of those to Greg Little for 84 yards and Chris Ogbonnaya rushed for a quiet 90 yards. The Browns fall to 3-6 on the season and are hosting Jacksonville next week. 1) Not a lot of positives to take from this one,but one is Colt McCoy's long pass with Greg Little. The weather was warm for this time of year (around 65 degrees),but there were winds blowing strongly and McCoy's throw cut through it for the big gainer. The main question on Colt McCoy was did he have the type of arm strength to make those type of throws when the weather was not perfect. 2) Analyzing the final drive is painful enough,but the glaring issue with me is the lack of confidence that Pat Shurmur showed in Colt McCoy once the ball was moved deep into Rams territory. First and Goal on the Rams 8. Yes,I know a field goal gives you the lead,but a touchdown makes a bad team have to score a touchdown to beat with limited time remaining. Plays called-Ogbonnaya to the right for a one yard loss,a handoff to Alex Smith,that Smith fumbles (More on that soon) for a fortunate recovery by Josh Cribbs and then Ogbonnaya for three yards. Look,I am not saying that the Browns should have thrown three times,but maybe once? Maybe a play action on second down that McCoy could have thrown into the seats or maybe even rolled into the end zone on a run,if all receivers are covered? Just awful play calling by Pat Shurmur and he was supposed to be an offensive guru? 3) What on earth are you handing off to a tight end for with the game on the line? If Josh Cribbs does not recover the Alex Smith fumble and the game is lost that way instead of the botched field goal attempt,this play is what all Browns fans are screaming about! SO,you do not trust your QB to throw a pass,but you do trust your third string tight end on a handoff??? 4) The Browns did try some different things in the game- a little Josh Cribbs in the wildcat that ended how most plays from the formation do-little yardage gained and an end around or two. That is a nice start,but I still cannot stand the play calling. All of these West Coast guys all have the opinion that they are smarter than everyone else and it usually backfires. 5) Nice game from Phil Taylor in the middle of the defensive line. Taylor had been quiet over the last few games,but he dominated the line of scrimmage against the Rams. 6) The Rams game winning field goal was set up by a St.Louis strip of Josh Cribbs on a punt return. On that play,I give more credit to the Rams on the strip than blame on Cribbs,who looked to me to have the ball tucked and pretty secure. 7) Joe Haden was strong as usual with three passes knocked down and a few tackles. 8) Everyone screams about Pat Shurmur not having an offensive coordinator,but if Shurmur continues to call the plays then is one really needed? If a coordinator is not calling plays,then he has a title and little responsibility. 9) I also hold no blame on Ryan Pontbriand on the poor snap at the game's end. 10) This game was a big loss and should have been one in the win column. Considering the Browns remaining schedule,I see maybe two possibilities for wins-next week at home against Jacksonville and maybe at Arizona later in the season. This is a little late in coming,but the Pittsburgh Pirates have signed veteran catcher Rod Barajas as a free agent to be the likely starter behind the plate for the 2012 season. Barajas signed a one year deal worth four million with a club option at 3.5 million for 2013. Barajas is almost an amalgam of the two lost catchers in Ryan Doumit and Chris Snyder. Barajas is a superior defensive catcher to Doumit and a more consistent (I.E.one generally knows what to expect from Barajas and gets it) than Snyder. Barajas is not going to hit for much of an average,but he is good for 15 homers a year,if you give 300 or so at bats to him. All things equal,I'd rather have kept Ryan Doumit,but they were not equal,as Doumit cost more and would have been a two year commitment rather than just one. Rod Barajas is nothing to run into the street screaming over in joy or rage,but considering the lousy group of free agent catchers this season,Barajas was a good as Pittsburgh was going to get without surrendering a compensation draft pick for Ramon Hernandez,which the Pirates cannot afford to give away. Give the Pirates credit for identifying the top catcher available in their cost range and locking him up quickly before other teams got involved with him and either losing him or watching his price drive higher. Not really a ton else going about on the Pirate ship,but a few things of note. 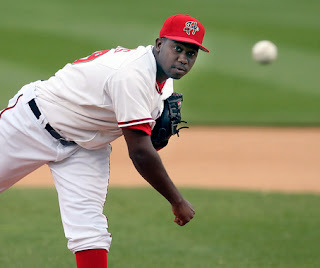 Donald Veal signed a contract with the White Sox and was added to their 40 man roster in somewhat of a surprise to me. Veal was a Rule V pick by the Pirates a few years back and saw a little action in Pittsburgh. Veal underwent Tommy John surgery and spent last season in the minors. Robbie Grossman was building his resume with an excellent Arizona Fall League after an strong year at High A Bradenton,but Grossman broke the hamate bone in his hand,ending his season. Grossman is expected to be ready by opening day,but the injury has been known to show a decrease in power numbers in the year following the injury,so this is something to keep an eye on. Devils battle back for shootout win in the Capital!!! After a tough loss at the Rock to the Washington Capitals,Johan Hedberg in front of the pipes instead of Martin Brodeur,I did not have high hopes for the Devils to earn two points and a split of the home and home in Washington Saturday night. Those hopes decreased significantly after Washington beat Hedberg twice in the first period,but these New Jersey Devils are a bit more resilient than last years model and used second period goals by Petr Sykora (3) and Ryan Carter (1) to force an overtime and at least one point from the series. Zach Parise and Alex Ovechkin each scored in the first three spots of the shootout,but a Johan Hedberg save on Nicklas Backstrom put David Clarkson in position to win the game for the Devils. Clarkson faked Michal Neuvirth out of position and flipped the puck off his backhand over the fallen netminder for a 3-2 Devils win and two points in the standings! New Jersey is off until Tuesday when they continue a five game road trip in Boston,followed by Buffalo on Wednesday. 1) Number one stat of the night-six shots on goal for Washington in the final two periods. That's right-SIX against a team that has a superstar and ranks as one of the top offensive teams in the league. 2) Bad defensive play by Adam Henrique on the first Washington goal as a pass that was attempted was picked off by Troy Browuer and fired past Johan Hedberg. Henrique should have just chipped the puck up ice and moved on. 3) Petr Sykora's third goal came the same way that his previous two did-off a faceoff win and blazer. According to Fire and Ice- this is a set play and Sykora has been able to take advantage of it. 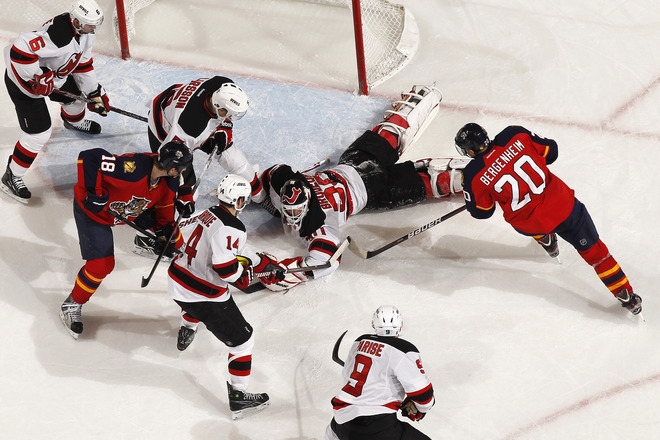 4) Ryan Carter's goal as a Devil came off a redirected pass from Bryce Salvador. To be honest,I have wondered why Carter has seen so much ice time,but Peter DeBoer knows Carter well and has to like Carter as a player. 6) Good news for the Power Play-No shorthanded goals allowed!!! 7) Bad news for the Power Play-No goals for them as their struggles continue. Back later today with three posts-Browns,Seahawks and a new catcher for the Pirates!!!! I am about to catch up on the weekends events with a series of posts over the next day. Posts are coming on the Devils win in Washington,the Browns loss to the bottom dwelling Rams and the Seahawks upset win over Baltimore. But first,Ohio State looked to be completing a comeback that would tighten the Big Ten race (Whatever their division is called) with an extra point boot against Purdue. Alas,a block forced overtime where the Boilermakers touchdown trumped a Buckeye field goal and ended any OSU title hopes 26-23. Ohio State falls to 6-4 on the season,still bowl eligible,but will need to defeat either Penn State or michigan in order to avoid a .500 season. 1) As I posted on Facebook (No Twitter for me),I hold Luke Fickell blameless for the blocked kick,but that kick likely eliminated any chance of his returning as the head coach next season. 2) Braxton Miller did toss two touchdowns,but still just barely over 100 yards on the day. The blame for that has to go to play caller Jim Bollman,who has abandoned any sort of daring or even the pretense of crossing patterns to try to open things. 3) Boom Herron's run ended against Purdue as he finished with a little over sixty yards on the day. All the blame cannot go on Herron as Purdue was putting as many as nine men in the box at times,showing that they had watched game film. Ohio State was unable to make them pay for the strategy with an effective air game. 4) I wish I had counted the amount of missed Buckeye tackles in this game. Suffice it to say,it would be high. 5) Five Purdue sacks of Braxton Miller. 6) Want evidence of the Bollman game plan? Jake Stoneburner has the best hands on the team. 7) DeVier Posey returns for Penn State. Does the fresh legs factor work for Posey as it did for Boom Herron? Or is it that Braxton Miller cannot get the ball to him? Or even that Jim Bollman will not open things up? 8) Second loss in two trips to West Lafayette. Not sure why Purdue has stepped up as the average team to battle the Buckeyes tough,but my guess is the spread offense. 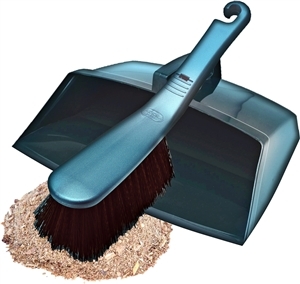 Not many Big Ten teams have used it and when Rich Rodriguez left michigan,one few team. 9) Penn State in town next Saturday. I'll miss the game live. I'll be in Hershey to take a look at the Albany Devils,but I'll be here with a review of the tape,but here is hoping the Columbus crowd is fair to the Nittanys. Be loud and let them hear,but be classy as possible. 10) Think the name Bruce Gaston (the Boilermaker kick blocker) is a name that Luke Fickell might remember for the next forty years???? Manny Pacquaio over Juan Manuel Marquez by decision. I am rooting for Marquez to win and I passionately believe that he won their first two fights. However,the higher weight for this one favors Pacquaio and the track record of Manny getting the close calls makes me think that it is going to be a similar result. The New Jersey Devils allowed a shorthanded goal for the second game in a row and it cost them the lead and led to an eventual 3-1 loss to the Washington Capitals at the Rock. The Jason Chimera goal in the third period snapped the tie and took all momentum that a Devils power play could have provided. Adam Larsson scored his first NHL goal in the first period for the only dent in the New Jersey side of the scoreboard. 1) I hold Martin Brodeur blameless on all three goals. He had little chance with guys on the doorstep on goals one and three and the shorthanded goal was due to two defensemen being unable to anything with Jason Chimera. 2) On the Chimera play,neither defenseman (Adam Larsson and I think Andy Greene) appears to attempt to do anything to deal with Chimera,who deserves credit for keeping the play alive and hustling. Pretty light play on both parts. 3) Adam Larsson did score his first goal,but he seemed tentative on the defensive end and was pounded around by the Capitals,most notably Alex Ovechkin on one occasion. 4) Power play 0 for 5. I am not going to use the Ilya Kovalchuk injury as an excuse for a crappy PP,although this will read as such at first. The Devils have traditionally (in my opinion) overpassed on the man advantage and I have screamed about this for years,but it is so much more pronounced with the absence of Kovalchuk. Without the feared one timer from Kovalchuk available,the power play seems to be out of sync and looking for the perfect shot,which rarely is available. 5) Penalty killing was excellent though as Washington had four power plays and all were killed. 6) Vladimir Zharkov was called up from Albany after Eric Boulton was placed on the IR with the same hand injury that has kept him out of action. I prefer to think that I was ahead of the curve on Joe Paterno. Not that I am a visionary that saw all of the issues involved at Penn State coming,not even the most fervent Paterno/Nittany Lion basher could say that with any degree of honesty. I also make no claims to know how much or how little of a coverup Paterno was involved in. Time will tell on that topic and until I know innuendo for fact,I'll choose to not throw any stones at Paterno at this time. However,I always had the feeling that the Paterno image was somewhat of a fraud. The integrity that so many claimed that Paterno possessed always came up a bit short for me. Never to the degree of the scandal that has rocked the country and I am not going to touch that horror other than to say that my suspicions of Joe Paterno were correct-He was going to do whatever it took to make Penn State and therefore himself a national power. If that meant making decisions along the way that were not benefical to anyone not named Paterno,such was life. The name of the game is to build yourself and your program to be as large as possible and he certainly did that to great effectiveness. Penn State and Paterno did manage to avoid the type of recruiting violations that so many others have been hit with,although I would bet you money that almost every BCS level school has boosters slipping players money to some degree and that includes Ohio State for those of you that may claim bias on my part. Paterno has a history of crying to get his own way,so I have little problem believing that he bullied school officials into covering this affair up. This is a person that ran their football program as his own personal kingdom even at the detriment of the school's athletic department in the long run. Penn State was invited to join the original Big East in 1979,but Paterno managed to decline the invite,wanting the advantages of making their own schedule decisions and staying an independent. That was beneficial then although it certainly would not be one today. The decision cost Penn State in all other sports as their indy status there was not enough to pay the freight and their attempt to join the Big East three years later was denied. Had Penn State joined the Big East,the conference landscape would be far different. Penn State would have kept their rivalries with long time foes Syracuse,West Virginia and most notably Pittsburgh intact and would have likely continued their "Beast of the East" status even through today. All three of those schools are on the move to new leagues soon,but I doubt any of those moves would have happened at the cost of leaving Penn State. 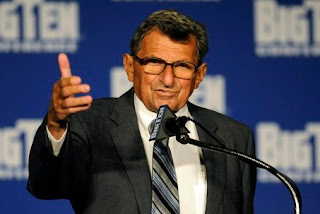 Paterno wanted the Big Ten for credibility and got it,even though the Nittany Lions had to throw all their past under the bus to do so and even started wrestling style trophy angles with both Michigan State and Minnesota,neither was which was successful for any party involved. Paterno also was not willing to pay any dues in the conference for his program,whining from day one about the lack of a 12th team in the league,ignoring the fact that a 12th team would not be needed,had his 11th team stayed in their Eastern backyard and the whining and tantrums about officiating in the league (always a strong point in a league not known for terrific officials). Paterno also threw his weight around in ending and not revisiting the long time rivalry with Pittsburgh. People of my age remember Pitt football in the 70's and 80's where the Panthers were on a equal level to the Lions and Paterno wanted no part of those days returning,so the two would not play although everyone in the state wanted to see the rivalry return. Paterno made statements along the lines of Pittsburgh being a Western Pa school and PSU did not want to limit themselves to one part of the state,although he had no problems playing Temple every year in the eastern portion of the commonwealth. The rivalry will return in 2016,only because most involved figured scheduling the return so far down the road would get the date past the aging legends eventual departure. This just scratches the surface of the selfishness of Paterno,who stubbornly refused to retire to the detriment of the program in order to outlast Bobby Bowden for the most career wins of any coach in history. I may be wrong,but I would wager a ducat that Paterno's wish to coach the Nebraska game tomorrow boiled down to two reasons-one,a chance to be a conquering hero at Beaver Stadium one final time and more importantly, to break the current tie for most game coaching all time,which he holds with Amos Alonzo Stagg. The Big Ten could do one small thing and quietly drop Paterno's name from its first championship trophy (the Stagg-Paterno). Paterno needs no glorifying from anyone at this time,deserves no honors and trust me,no one more than the conference can be rooting harder for a Penn State collapse and elimination from the first league title game as what should be a showcase will become nothing more than a carnival sideshow should Penn State be one of the teams in the title matchup. That has always been what Joe Paterno was all about underneath and even though I suspected that,I certainly wish that I had never had it confirmed under these circumstances. The Penn State way had always been proclaimed to be about honor and integrity first and so many bought into that code. A short recap of Tuesday's 3-2 Devils win over Carolina since I ran out of time yesterday to get this finished. Adam Henrique had his stick in the wrong place at the wrong time in the third period as Henrique deflected Joni Pitkanen's shot into the Devils net for a 2-2 tie. Ten minutes later Henrique redeemed himself as he went behind the net and wrapped the puck around Cam Ward for the game winner (4). New Jersey also received goals from Dainius Zubrus (4) and Petr Sykora (2) in the win,which was the Devils third in a row. 1) Four goals in three games with two of them being game winners for Adam Henrique,which means I doubt that we see Henrique in Albany anytime soon,if ever again. Henrique seems to have a quiet poise that belies his age and plays very confidently. 2) Disappointed in the penalty killers as they handed the Hurricanes their first goal shorthanded. 3) Martin Brodeur looked good and with two nice games in a row,is hopefully rounding back into shape. Brodeur almost singlehandedly kept the Devils in the game,especially in the late first and early second periods. 4) Two goals for the Zubrus/Elias/Sykora line in this win. 5) Andy Greene returned to the lineup after missing two games,but Ilya Kovalchuk remained out of the lineup. Mark Fraser was placed on waivers to allow Greene to return. Time to clean the inbox out with some various notes of interest. I have missed Seahawks game coverage the last two weeks because they have played at the same time as the Browns and I really dislike doing game coverage of the games that I have not seen. I make no claims on being the best of anything,just that I add a perspective of bullet points that the standard wrap usually does not and me gleaning information from that is kinda like reheated leftovers. Since this is basically an opinion based site to begin with,I am not comfortable with that being done very often.. The Browns and Seahawks will not play at the same time for the remainder of the season,so Seattle coverage will return this week. My good friend Wooden sends me this awesome nugget and I have been engrossed in this site ever since. The intent is to intentionally draw a too many men on the field penalty,while at the same time draining time from the clock in a late game situation. With the new rules on time and penalties at the end of the game,I am not sure that this would work as well now,but it shows the amount of detail that Buddy Ryan teams covered. Those teams may not have won a playoff game,but those defenses were the most fun to watch of any I have ever seen. The Eagles honored Buddy last night at halftime of their game with the Chicago Bears and it was very nice,although overdue. Philly fans still hold Buddy in high regard and this had to raise his spirits a bit. Buddy is fighting cancer right now and is having five radiation treatments a day in his fight against the evil disease. A while back we posted about the Browns releasing Brian Robiskie,but I forgot to write the followup of Robiskie being claimed by Jacksonville. A note to Pat Shurmur-you want some of the heat on you to cool down? One way would be to make sure that Brian Robiskie does not stand out when the Jaguars hit Cleveland in a week from Sunday. Strat O Matic has made headlines for two reasons recently. The first is the 50th anniversary of the company and Bloomberg news has a article about SOM here. The latter is that every night of the NBA lockout SOM is simulating the games that have been canceled and placing the simulated games/stats on their website. I have been an ardent reader through the years of the Robert Caro series on Lyndon Johnson ( I just finished a re-read (No relation to Ry-Ry) of the second book Means of Ascent) and my biggest worry of the series that began in 1981 is that Caro (now in his late seventies) might not be able to finish the project. The final book of the set was scheduled to be out next year,but that has been changed as the final portion has evolved to a two book set and the series a five book volume. Passage of Power will be released in May of next year and will cover 1958-1964. The fourth book will take Johnson from the planning of his 1960 presidential run,his years as Vice President and the first year of his presidency. I will be waiting until the softcover book comes out sadly. Hardcover books seem to fall apart so easily anymore and when you consider the cost of the product,I'll just wait a while and buy the softer version. Do you remember the 1970's? Concrete donut stadiums and garish uniforms? Well,the Miami (yes,the name will be changed) Marlins may be moving into a new stadium for next season,but the uniforms are definitely a throwback that is as welcome as a Pet Rock or Mood Ring. The orange version of this makes me want to rinse my eyes with Clorox or maybe the designer was doing just that! If this leak is the actual plan for the new Marlins togs,then someone in Miami had better deny,find a backup plan and pray that any proof of this ever comes out of the closet. To former Heavyweight champion Joe Frazier,who passed last night at the age of 67. Frazier will always be linked to Muhammad Ali of course,but Frazier made three other defenses before the devastating second round knockout loss of the championship to George Foreman in 1973. Frazier's loss on that night with Howard Cosell's commentary of "DOWN GOES FRAZIER" has become a permanent staple among even casual sports fans when people take pratfalls on TV and in the real world. Frazier's fights with Ali were classic as Ali did not have the punching power to hurt Frazier,but Smokin' Joe was meat on a platter with his charge in style for a punishing pounder like Foreman. Frazier was also the heavyweight Gold Medalist in the Tokyo Olympics in 1964. Former National League batting champion Matty Alou passed on at the age of 72. Alou played for five teams,but his best seasons were in Pittsburgh,when he won the 1966 batting championship with an average of .342,which was the first of a seven year run that saw Alou hit over .300 six times and .295 in the exception season. Alou was the type of hitter that is not as prevalent in the game today as he was a one skill hitter as Alou never reached double digits in homers in any year of his career. Former Cardinal pitcher Bob Forsch passed suddenly at the age of 61 just days after throwing out the first pitch before Game seven of the World Series in St.Louis. Forsch was a twenty game winner in 1977 and tossed two no-hitters in his career. Forsch is part of the only brother act with sibling Ken to throw no-hitters and was generally a solid middle of the rotation pitcher. Ironically,Forsch was on top of my pile of people to write this year,being so close to the top that his envelope was actually already addressed when I heard of his passing.